This week's challenge will be the final Phone Snap Challenge, so let's make this count, everyone! To close off Phone Snap, we'd like to get a little silly. So start practicing all of your funny faces in the mirror and get those photo editing apps ready! Photograph somebody's funny face with your cell phone—whether it be your own, a family member's, a friend's, or your pet's, and post your very best shot to the Phone Snap community corkboard. A silly prize to match a silly challenge! 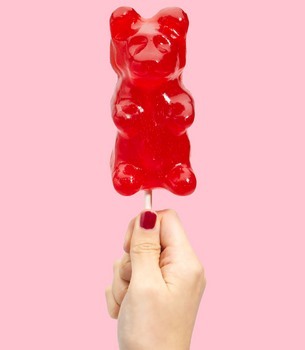 This week's winner will receive a massive, edible gummy bear on a stick. 8" high, not including the stick, this gummy bear masterpiece is 88 times bigger than your average bear and weighs half a pound! Need some inspiration? Check out our How-To on creating a Jowler. 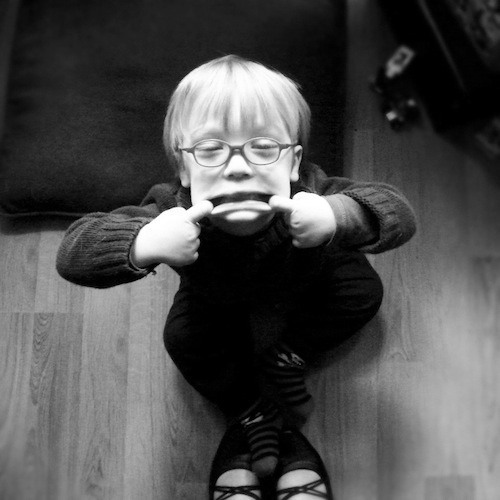 Post your photo to the Phone Snap Corkboard titled "Funny Face Challenge: (Photo Name Here)". Please submit ONE photo per person, and the photo MUST be taken by you. No stealing. All entries must be in by Monday, January 30th, 11:59pm PST. Standard rules apply. Post any questions below. They have 24 pound gummy bears- there was an AMA on reddit from a person who worked at a gummy bear factory. They don't sell them, though.